Expect the first discoveries to be gas giants close to their stars, easiest to spot and confirm using Kepler's transit methods. Then things get even more interesting. This is a mission that should be able to find terrestrial worlds in the ultimate sense; i.e., planets that not only approximate ours in size but are also roughly at the distance required for liquid water to exist at the surface. We still call that distance the 'habitable zone' even though it's becoming clear, as witness the case around Jupiter, that tidal forces can provide immense energies that could extend a different kind of habitable zone much farther from its star. Are they accepting colonists yet? Well-known exoplanet researcher Michel Mayor today announced the discovery of the lightest exoplanet found so far. The planet, "e", in the famous system Gliese 581, is only about twice the mass of our Earth. The team also refined the orbit of the planet Gliese 581 d, first discovered in 2007, placing it well within the habitable zone, where liquid water oceans could exist. These amazing discoveries are the outcome of more than four years of observations using the most successful low-mass-exoplanet hunter in the world, the HARPS spectrograph attached to the 3.6-metre ESO telescope at La Silla, Chile. You may be forgiven in thinking that the search for life in the Solar System has gone a little crazy, after all, we haven't found life anywhere else apart from our own planet. However, if we do discover life on other planetary bodies apart from Earth, perhaps the panspermia hypothesis is more than just an academic curiosity. So why is Ceres suddenly so interesting? Firstly, it probably has water. Secondly, the ex-asteroid is so small that fragments of Ceres could have been kicked into space by meteorite impacts more readily than other larger planetary bodies, making it a prime candidate for seeding life on Earth . . .
*"The Ceres Solution" is a novel by the late Bob Shaw. "Not only are they probably habitable but they probably are also going to be inhabited," Dr Boss told BBC News. "But I think that most likely the nearby 'Earths' are going to be inhabited with things which are perhaps more common to what Earth was like three or four billion years ago." 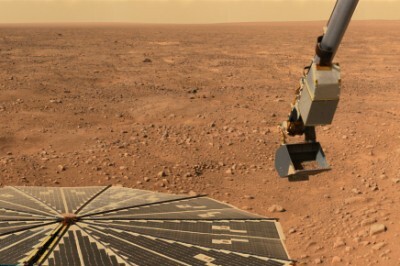 The Mars Science Laboratory rover may be retargeted to land near a methane vent on Mars to specifically seek direct evidence of current Martian life. Yeah, that might be a good idea. Better have some committees look into it. I acquired the footage below only at great difficulty, as NASA is inexplicably intent on denying its existence (if not outright destruction of the original film stock). Make of it what you will. 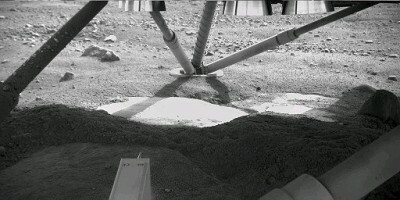 As scientists search for life on Mars, they should take a close look at rock varnish, according to a paper in the current issue of the "Journal of Geophysical Research." The paper describes how a research team led by Kimberly R. Kuhlman, of the Tucson-based Planetary Science Institute, found bacteria associated with rock varnish in an area where the surrounding soils were essentially devoid of life. The study suggests that rock varnish could provide a niche habitat for microbial life on Mars and in other extraterrestrial environments devoid of liquid water. 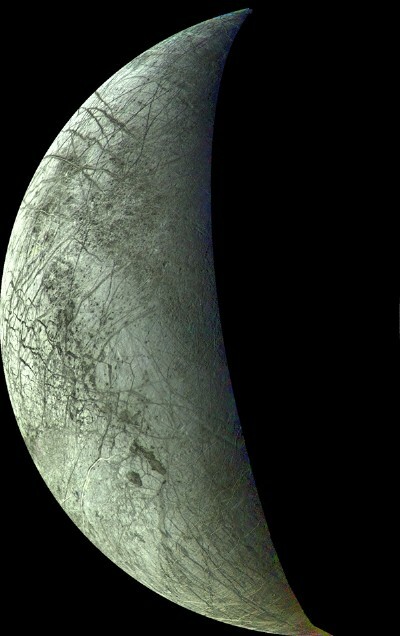 We've speculated that Europa experiences enough tidal flex from Jupiter to create possible energy sources for life. What Tyler is saying is that the moon may experience not just internal pressures but large waves pushing through the submerged ocean. These waves, of course, could be a way of distributing heat and dissipating tidal energies. 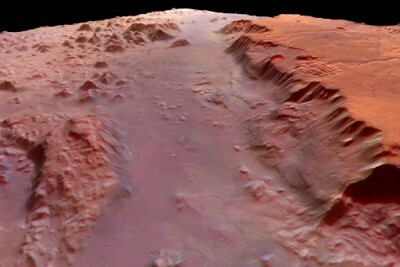 Now, building on a tradition of ground-based simulation that extends back to 1958, a new series of experiments, conducted by an interdisciplinary research team from the Faculty of Natural Sciences of the University of Aarhus, Denmark, suggests that indeed bacteria could survive beneath the martian soil. Why am I such a spoilsport? 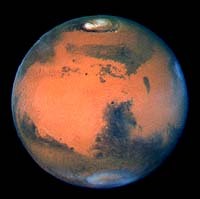 Because life on Mars would make life on Earth a lot more complicated. First, imagine that there’s no life on Mars. That means we can go there, as we did on lunar missions, with no serious worries about bringing back deadly germs. (We initially quarantined Apollo astronauts upon their return to Earth. But by Apollo 15 NASA had concluded that the moon was as lifeless as, well, the moon.) No concerns about bringing deadly bacteria home, and none about contaminating the moon with earthly bacteria that might mess up its biospheric ecology. 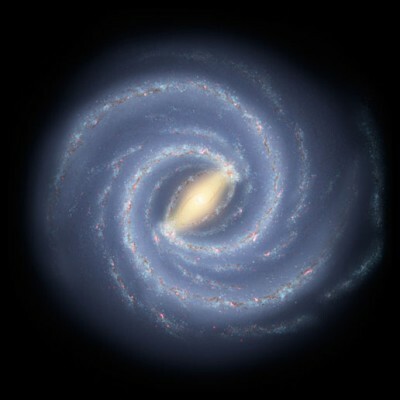 Glycolaldehyde has previously only been detected near the center of our galaxy, where conditions are extreme compared to the rest of the galaxy. But its discovery in an area far from the galactic center in an area known as 'G31.41+0.31' suggests that the production of this key ingredient for life could be common throughout the galaxy. This is good news in our search for alien life, because a wide spread of the molecule improves the chances of its existing alongside other molecules vital to life, and in regions where Earth-like planets may exist. As astronomers explore newly discovered planets and create computer simulations of virtual worlds, they are discovering that water, and life, might exist on all manner of weird worlds where conditions are very different from those on Earth. And that means there could be vastly more habitable planets out there than we thought possible. "It's like science fiction, only better," says Raymond Pierrehumbert, a climate scientist at the University of Chicago, who studies planets inside and outside of our solar system. 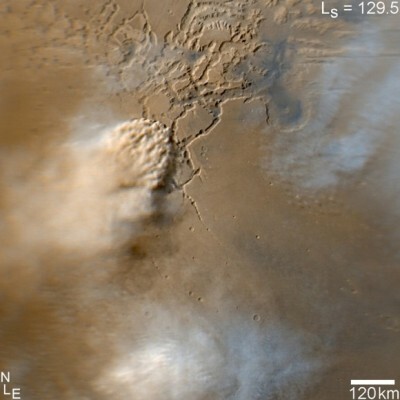 Has Mars Science Laboratory Made the Discovery of the Decade? NASA team leader Michael Mumma puts forward the idea that subterranean bacteria could be producing the noxious fumes, which periodically percolate to the surface in short lived bursts. But it could also be a geological source deep below the surface. "Come to where the flavor is." The future wears a gasmask.